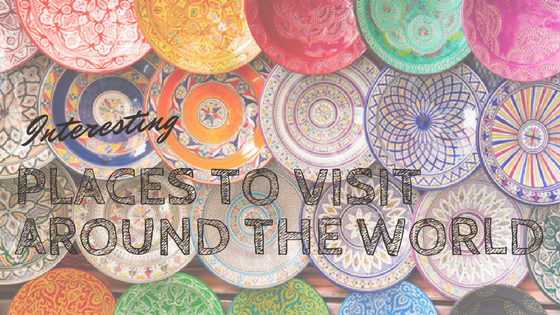 You’ve probably come across list after list of the best places to visit around the world. For the most part, those lists are repetitive and display more of the same. 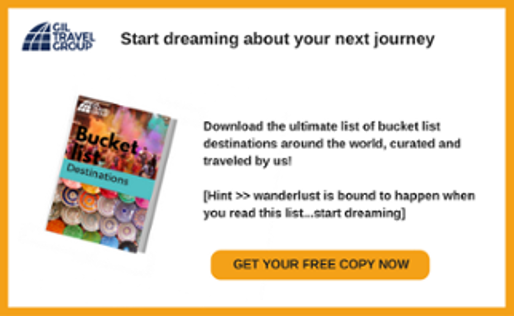 While London, Paris and Rome are travel staples that have garnered popularity for good reason, when you have limited vacation days and an itch to see the world, a more creative list is required. Curating a list of this nature and learning how to travel to a less common destination combines a few required characteristics: exoticism, luxury, culture, history and imagination. When you have a location that hits these, you have a location that is guaranteed to be a special experience you won’t forget. So, for your next vacation, opt for an interesting off the beaten path destination. Here’s my list (for more ideas of special places in the world, check out my post on 10 places to visit before you die). Much of the Arab world is experiencing difficult times. If you were to base your perception of that region solely on what you see on the news, you wouldn’t step foot there under most circumstances and definitely not for your next vacation. So you might be surprised to read that one of the world’s newest democracies is Tunisia – the catalyst for what is being called the Arab Spring. But while other countries that followed suit have fallen apart into chaos and violence, Tunisia has emerged with a peaceful transition to democracy. What that means in the context of my list is that it’s a safe and beautiful oasis in a troubled region to visit and enjoy. 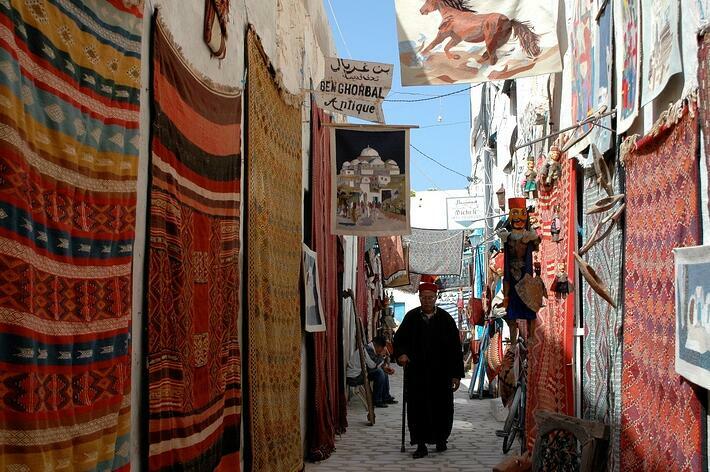 You can see a mix of beautiful archeological ruins, attend an annual festival on the island of Jerba that brings together Muslims and Jews, stay in gorgeous palaces that are impeccably restored and focused on providing unparalleled service and eat authentic and delicious food. A lush green paradise with smiling people, a rich culture, beautiful temples and wonderful service awaits you. May, June and September are the ideal months to visit as you’ll find drier, less humid weather. You’ll be amazed by the endless amount of green around you. Inevitably, there will be a procession of beautifully dressed local as they head down a major road in a march to one of the many temples ceremonies. Wherever you look you’ll see flowers laid out as offerings to the gods. 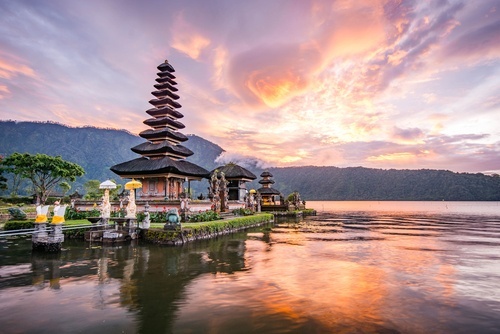 Inland Bali is covered in mountainous areas with protruding volcanoes and hillside temples. To access the cultural heart of Bali, spend time in Ubud. It also has the island’s most beautiful monuments and rice fields. For the surfers among us, or even just those looking for a quiet, pristine beach resort, head to north or to west Bali for a different journey. Better yet, combine them to really experience all that this Island has to offer. This city was built to show the splendor and strength of imperial Russia. 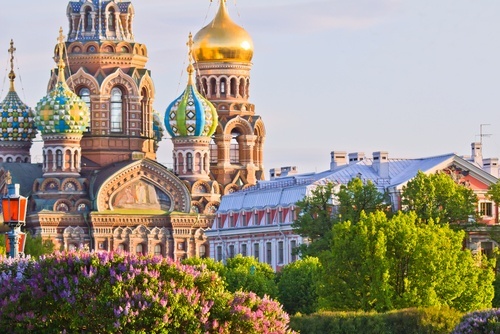 While Moscow is perhaps the more obvious attraction for a first time visitor to Russia, St. Petersburg is arguably more beautiful and authentic. With hundreds of bridges over the impressive Neva river and small canals traversing through the historic center, you’ll sense an ode to Venice. A city frozen in time, you’ll see the ornate architecture most notably seen in the grand palaces and cathedrals, incredible culture and deep history – you can spend hours and days digging into the layers of this treasure chest and never make your way to the bottom. It’s an artistic and cultural beacon. In the Hermitage you can see everything from Picassos to Egyptian mummies and artifacts. Spend an evening at the world class Russian Ballet at the Mariinsky theater or a classical concert at the Shostakovich. The Russian museum there has the world’s largest collection of Russian art and is housed in 4 incredible palaces. It’ a city of the Tsars and a true testament to a world foregone yet impeccably preserved. Traveling to Cuba from the U.S. has recently become possible thanks to some significant changes in U.S. Cuban relations. Given Cuba’s new status as a doable destination that’s just hours from the United States, many are choosing it as their next go-to vacation spot. While the relationship between the two countries is certainly warming up, there’s a feeling of urgency to visit this incredible country sooner rather than later. Some say the relations could change and travelling there could be harder in the future. Others say it’s the beginning of a beautiful friendship and there’s just a few years left before foreign investment comes funneling in and Cuba becomes the next Miami and the unique idiosyncrasies of this country become a thing of the past. Certain things in Cuba seem stuck in a strange time warp. You’ll see vintage cars and internet cafés – yes, those still exist. The good news for those of you who are happy to disconnect a bit when on vacation is you can easily do so in Cuba. 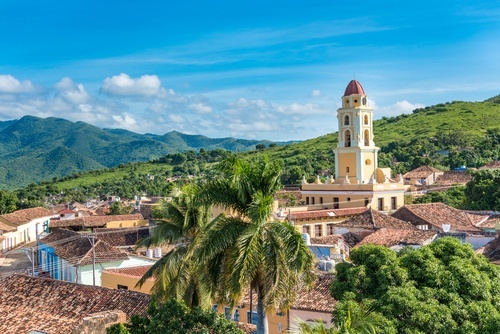 While you disconnect, you can visit Hemingway’s house, relax on amazing white sand beaches and take in the Cuban music that gives the island its own rhythm and beat. Sri Lanka is an island with incredible natural beauty, deep cultural and religious roots, delicious food, smiley people and admittedly a troubled past. While it was once a bit problematic to travel there due to the civil war between the Tamil Tigers of the North and the Southerners, this is a thing of the past. Today, the Island is the epitome and tranquility. 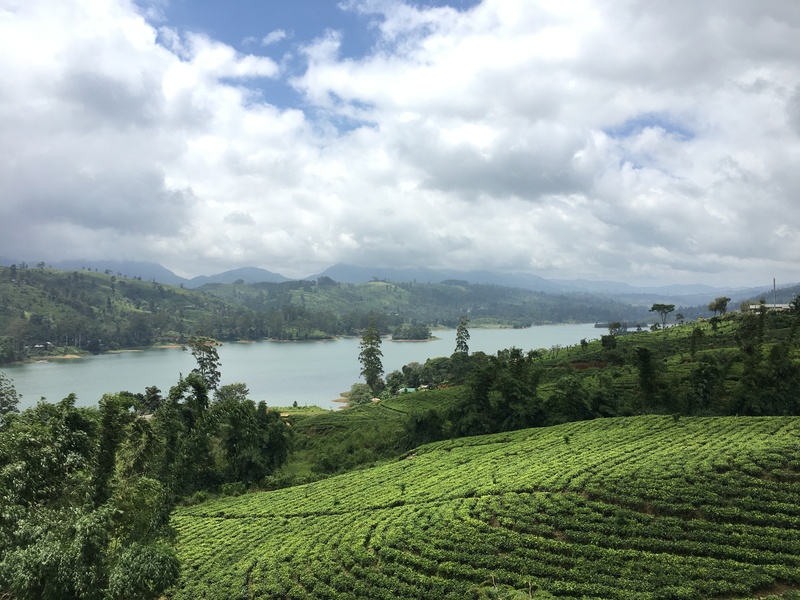 While there is plenty to see, the region that most captivated me is the green hilly tea country. Sri Lanka is among the 3 largest exporters of tea in the world. This area is lush and scenic. If you want to indulge, opt to stay in the Ceylon Tea Trails retreat. You’ll stay in one of 5 bungalows that are restored British Colonial homes with just a few rooms. You’ll have your own butler who tends to the home and a private chef cooking you breakfast, lunch and dinner. Sit on the patio overlooking the stunning tea fields for your traditional English 5 o’clock tea. If you’re feeling active, take a tour of the Dunkeld tea plantation and factory and learn how tea leaves are harvested and how tea is made. Take a scenic walk between bungalows. Or, just relax and enjoy the view. The world is full of incredible places to see. It takes some courage to take the road less travelled, but it’s worth it. Choose a destination that’s iconic yet unique. Create memories. Cultivate experiences. Dream.